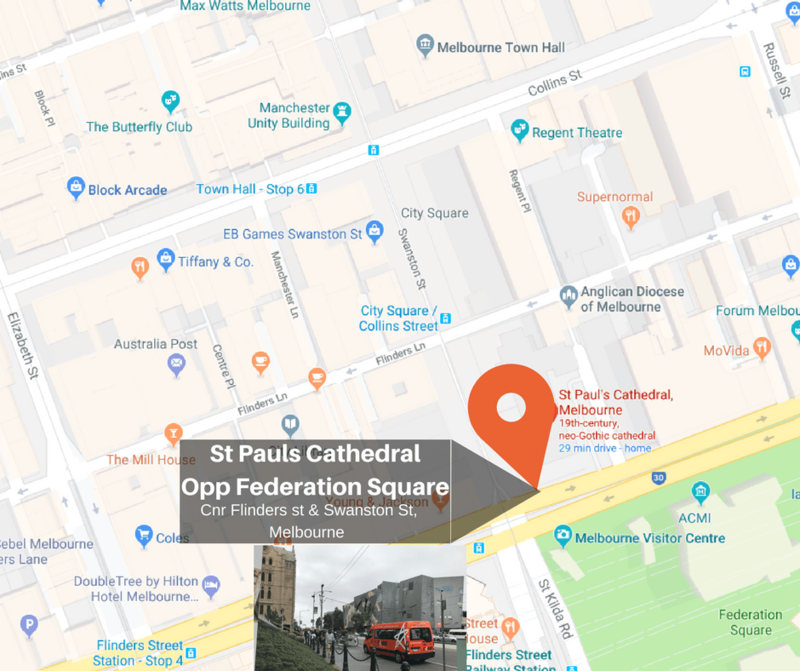 We pickup and drop off at the Bus Zone located in front of St Pauls Cathedral on the corner of Swanston St & Flinders St, it’s directly across the road from Federation Square. Essendon Fields Airport Shuttle Service. We pickup and drop off in front of the Jasper Hotel which is located at 489 Elizabeth St, Melbourne. Next door to Mc Donalds. STOP 1 – Is located directly across the road from Melbourne’s famous FEDERATION SQUARE at St Pauls Cathedral. We call this stop FED SQUARE, it’s also just across the road from the beautiful Flinders Street Station so its so easy to jump on a train if you need to get yourself to one of Melbournes outer Suburbs. 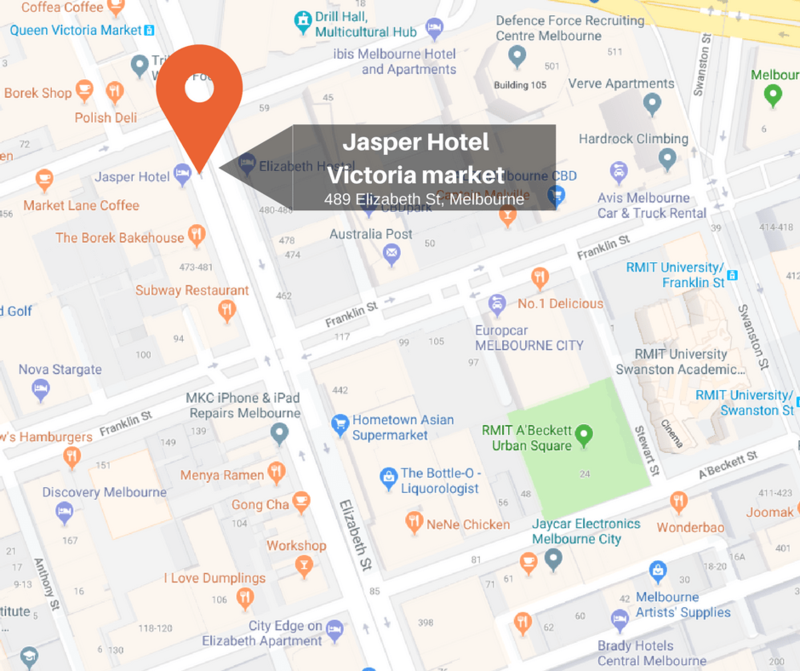 This stop is at the Jasper Hotel which is located at 489 Elizabeth St, Melbourne. It’s right next door to Mc Donalds and Victoria Market, it’s also inside the FREE TRAM ZONE, you can jump on one of Melbourne’s iconic trams to get yourself anywhere in the City for free.